Quick one for y’all today! 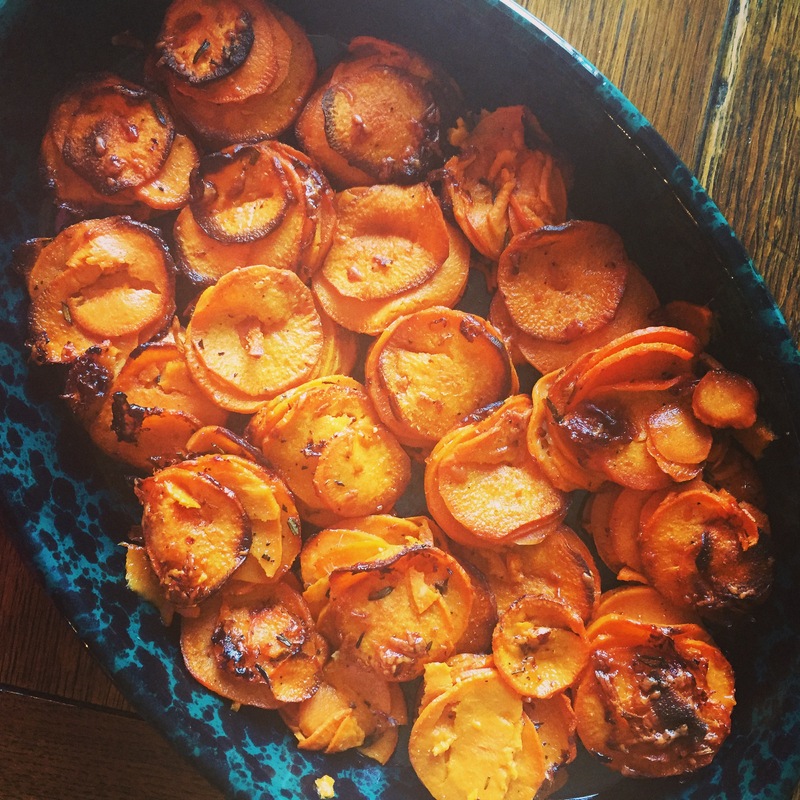 It’s a super easy and super yummy side dish that will pair wonderfully with any main entrée. Seriously, this goes great with chicken, fish, beef, lamb, pork… even eggs at breakfast! It’s not strict paleo, but you can always omit the cheese if you aren’t “primal” (paleo plus dairy). In a bowl, mix together rosemary, cheese, oil/butter, and salt. Add sliced yams and mix together with hands to coat evenly. Using a muffins tin (either sprayed or lined with silicone cups) stack yams in the cups until full. Bake for 40-50 mins until tops are browned and caramelized. Let cool slightly and serve (these puppies are HOT straight outta the oven). Garnish with more parmesan if you love cheese!